Experience Dance This Summer With Day Camps! Discover Genie’s lamp & have your 3 wishes granted. Dancers will tumble like the magic carpet to the songs they know and love. It’s a battle royale as dancers learn the hip hop moves from the hit game. Calling all Princes and Princesses! Get ready for the Royal Ball by learning classical ballet. Join Simba, Timon, and Pumbaa on a journey to become the king of dance. Bows make everything better! 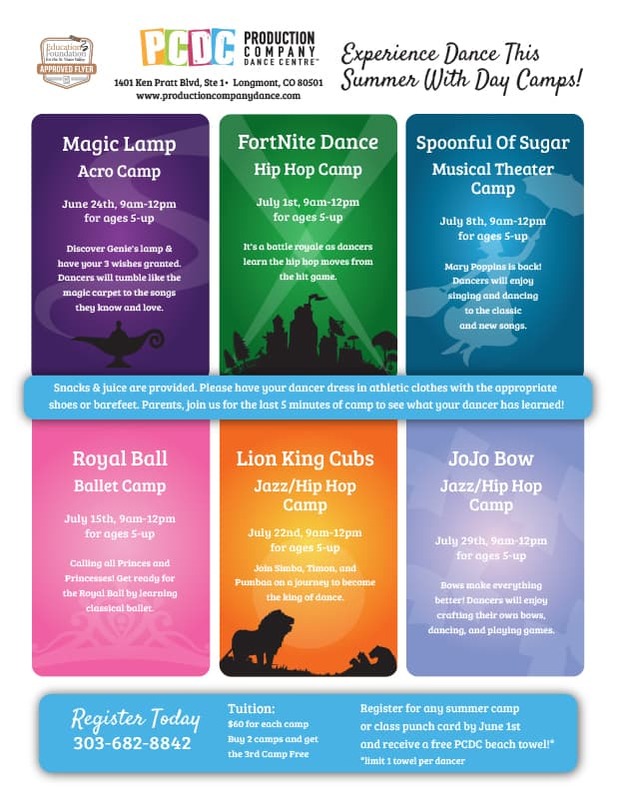 Dancers will enjoy crafting their own bows, dancing, and playing games. Snacks & juice are provided. Please have your dancer dress in athletic clothes with the appropriate shoes or barefeet. Parents, join us for the last 5 minutes of camp to see what your dancer has learned!